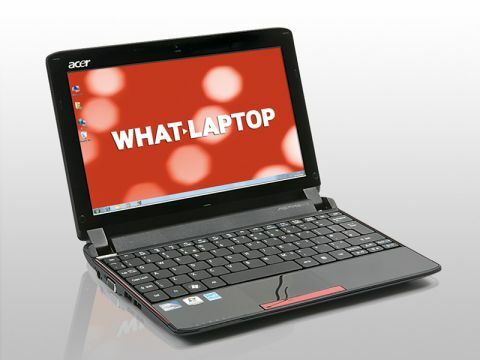 In celebration of its partnership with the 2010 Olympic Games this winter, Acer has released the Aspire 4810TZ, an ultraportable laptop that boasts superb power, usability and battery life. The 14-inch screen seems larger than other panels of this size and features a 1366 x 768-pixel resolution. Images are suitably sharp and colours look great, making the laptop as suited to watching films as it is reading spreadsheets. Working with multiple windows open is also simple. The laptop's lid and chassis have been tastefully branded with the Olympic logo in a subtle fashion, and thankfully Acer has resisted the temptation to splash the Vancouver mascot all over the place – after all, nobody really wants a yeti plastered all over their machine. The keyboard is excellent and provides a very intuitive typing experience. The keys are spread out enough to stop you getting lost on the slightly flat surface and the travel is succinct and snappy. The touchpad is also responsive and Acer has included a convenient button to deactivate it in case you find yourself brushing it while typing, which we did. As you would expect from a laptop powered by a Consumer Ultra Low Voltage (CULV) processor, performance is sufficient for basic office work, and this machine is designed primarily for creating word documents, checking your email and browsing the internet. More multimedia-orientated applications will certainly run, but the laptop will show signs of lag quickly, so if you're after anything more than the most basic of photo editing, for example, you would be better off looking elsewhere, as the integrated graphics card ensures this laptop is no multimedia machine. However, the CULV processor does mean that you get a phenomenal battery life, and we managed to squeeze 517 minutes - well over eight hours - from our review unit. This means that if you're out of the office all day you can forget the AC adapter and keep working without worrying about where you're going to top up on power. On top of this, the laptop only weighs 2kg, making it very convenient to carry around in a laptop sleeve or case. Specifications elsewhere also impress. You get a capacious 500GB hard drive to store your data on, and 802.11n Wi-Fi and Gigabit Ethernet are also included, providing you with the very latest in highspeed networking technology. We're big fans of the Acer Aspire 4810TZ. It ticks all the boxes for a good CULV laptop, with the battery life especially impressing, making it a great way to celebrate the Winter Olympics.